Imagine coming up with the idea of a film now and growing up to see it come to life? That's exactly what happened to director and actor Joe Cornish - the brains behind The King Who Would Be King. The King Who Would Be King is a modern-day version of the legendary story of King Arthur's sword. 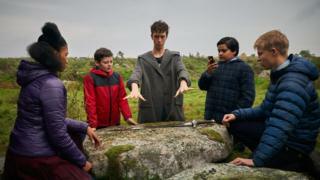 In the film, main character Alexander Elliot pulls the sword from a stone and becomes the rightful heir to throne - whilst having to deal with the everyday pressures of school. 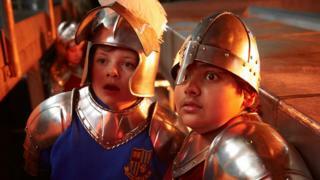 The film even has a modern day Merlin! The film mixes all things magical and mystical with the present day. There's even a part where the two main characters meet Merlin, a mystical wizard, in a chicken shop! Louis Ashbourne Serkis who plays the main character Alex told De'Graft that his character is bullied in the film. However, he also let us know that bullies never win in the end. Can we say more? Probably not - spoilers! The Lion King: What do we know about the new Disney movie?